This page is designed to give you a little taster of life at St Hugh's: nights out, the Junior Common Room Committee and information on some of the wonderful clubs and societies. Lifestyle is really important at any university, so I hope this whets the appetite. However, It is important to stress that the following is only a snippet of the opportunities in college and that there are lots more things to do at Hugh's, as well as on a university level. For information on university level sports and societies, click here. Being at Oxford means the only nightlife you get is based in a Library. Right? Wrong. Here is your guide to Oxford's nightlife. Unlike some University cities we also have more than one club. Here is a breakdown of our four favourite areas. You can find a whole host of different venues in central Oxford. Be it cocktail bars, rooftop terraces, classic pubs or nightclubs, Oxford has it. When it comes to cocktail bars, The Varsity Club (TVC) on High Street is my favourite. TVC boast an incredible rooftop view of Oxford that is in the background of this picture. 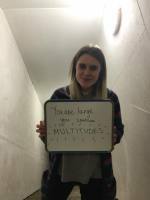 Otherwise, lots of clubs that are popular with current students include: Bridge, Atik, Wahoo & (although questionable) Lola's. St Hugh's students have also been partial to Purple Turtle (PT) and Cellar, with both venues attracting decent numbers on Wednesdays and Saturdays. PT holds a special place in several Hughsie hearts. For some it is famed as the place they (and other Oxford Burnley fans) celebrated the Clarets return to the top flight. In terms of central pubs, Oxford is lucky enough to have some of the most famous pubs in the world. This includes the Lamb and Flag, where J.R.R. Tolkien is said to have written the Lord of the Rings. The essential message here is: whatever your vibe, there will be somewhere for you to call your own! There are loads of other activities available in Oxford too. Centrally we have two cinemas, some clever cafés that incorporate board games and even ghost walks. Essentially, there is LOADS TO DO!! The jewel of Cowley has to be the O2 academy. It regularly hosts small to big names in various music genres. Oxford's other big music venue, The Bullingdon club, is also down in Cowley. So for good music, head down to south Oxford. Additionally, Cowley hosts lots of great places to eat. Atomic Burger, Atomic Pizza, Temple Lounge & Red Star Noodle Bar. The list goes on. Cowley is otherwise known for being a really good place to go for an alternative Oxford experience. There are a number of artsy independent cafés and bistros. Jericho is in West Oxford, not too far from St Hugh's. It has really nice restaurants, pubs and the other odd surprise. Highlights include Freuds, a cocktail bar that is based in an old church. It is frequently used for jazz nights, poetry recitals and open mic nights. Certainly worth a visit! Another highlight of Jericho, that as an Oxford student you are bound to end up in at some stage, is Arzoos (newly refurbished to become "Jamal's"). Arzoos is the curry house of choice for sports and societies that are looking for a laugh in the evening, before heading into central Oxford. The food however, can be described as dubious. Another hit with students is Jude the Obscure, a pub that is in the middle of Jericho. There you will be likely to find decent food, ale and sport on the TV. Ideal. In terms of non-alcohol fuelled nights Jericho is host to a beautiful older cinema that several head to for a unique cinema experience. There are also a number of nice restaurants such as Mama Mia and The Anchor to head to as well!! North Parade is the closest road to St Hugh's with a pub. Therefore it gets a mention. In fact, North Parade hosts two pubs: The Gardener's Arms and The Rose and Crown. The former is the pub of esteemed SHFC members, while most head to the rose and crown for a few drinks when they want a quiet one. North Parade also hosts the occasional night market for those of you that like market food and crafty things! Not a fan of what we have to offer on the nightlife side of things? Fear not. There is loads more to do, just have a look below! Oxford is really fun and exciting 90% of the time but ever so occasionally it can become a little overwhelming. At times like these St Hugh’s has a fully fledged welfare team on hand to help with whatever you need (also to provide you with tea and biscuits whether you’re feeling down or not). There are two welfare reps on hand with free food and lots of welfare events all through term. Their job is essentially to spread to the Hughsie love and make our College the loveliest place it can be. They are also in charge of distributing free condoms, lube, pregnancy tests, pads, tampons and moon cups. But this isn’t where welfare ends! There are peer supporters at St Hughs too. They are students who have received training from the University Counselling Service to enable them to listen effectively without judgement, and maintain confidentiality. Since peer supporters are students themselves, they offer an easily accessible and informal opportunity to talk through issues which may be concerning you. Often it can help simply to get things off your chest or to know that someone is genuinely willing to listen and take time to understand what’s on your mind. Sometimes just talking things through is enough; sometimes it may lead you to seek more professional help, in which case we can refer you. They are contactable through email and mobile, while they also run events in hugh's welfare room from time to time! For more information, follow this link! There is a college nurse at Hugh's who is around on weekdays and a doctor who has appointments in college every week. When you arrive you register with Summertown Health Centre, a doctors surgery which is 10 minutes walk away (or less) so you are not limited to the in college support. The Junior Common Room Committee is a bit like a school council or student union for the undergraduates at the college. The committee work on the behalf of current students on lots of matters, delivering things from welfare support to academic representation. The committee is made up of current students, making it one of the best ways to get involved in student politics at a college level. We have all sorts of roles, including President, Vice-President, Secretary, Treasurer, Access & Academic Affairs rep, welfare reps, events reps, an LGBTQ+ rep and many more! For a full list on positions and the current people filling the jobs, check out​ the College website! The current committee have managed to deliver a BRAND NEW PLAYSTATION, alongside lots of impressive events like bops (see the traditions part of this link), lawns parties and democracy over pizza every other Sunday. 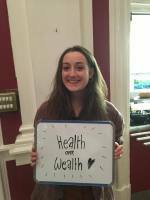 The JCR committee also provide a link between the college undergraduates and the University Student Union, OUSU. 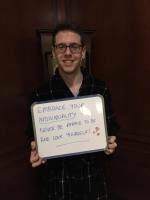 The JCR has three votes at OUSU council which can greatly affect student life. One vote is taken by the president, One by the secretary and one by any JCR member who comes forward for it. The JCR officers can also be mandated to vote in a certain way on OUSU motions if the JCR members pass a motion in a JCR meeting. In short, the JCR committee are here to represent the undergraduates in college and the committee is certainly something we recommend you consider if you come to Hugh's! Rowing is the last thing we expected to find ourselves doing at university but joining the boat club is genuinely one of the best decisions we’ve made since we got here. There is absolutely no need to have ever rowed before nor do you have to be any good whatsoever. The only thing we want from our rowers is people who are keen to give it a shot! Whilst you can choose to spend a lot of time rowing, everyone has the option to do as much or as little as they want. It’s a great way to relax, burn off some stress and get your mind off work for a couple of hours. If you need to drop out for a term to get on top of your work or revise for exams then that’s totally fine too. The point is, rowing doesn’t have to get in the way of work. You’ll get the chance to row in inter‐college regattas each term and most people you ask will tell you the vibes at said regattas are amazing. Plus if your crew do well enough, you can get your very own personalised blade. We really recommend you come to the tasters if you come to Hugh's because it was only when we actually got in a boat that we realised how much we enjoyed it! Most unconvincing plugs start with “X is great”. But honestly, rowing is excellent. 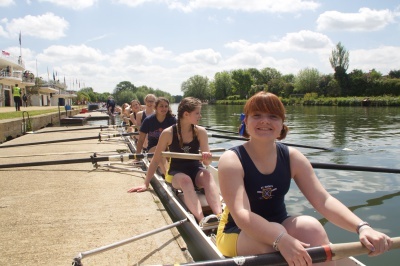 Joining the Boat Club is your chance to take part in one of the oldest traditions at Oxford. 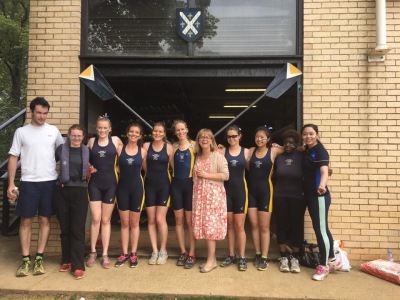 Rowing is one of the few sports that it is possible to take up in Michaelmas, having never rowed before in your life ‐ and actually be quite good by Trinity term (we like to think). On that point, you don’t have to be a gym‐crazy, protein‐monkey to enjoy rowing. Whilst that is an option, there are boats and races for all abilities and levels of commitment. Equally optional, but thoroughly recommended, is the social programme off the water. The club puts on formal dinners and post‐race barbecues, a host of eclectic (usually alcohol‐based) events and activities. At the end of Michaelmas Term, Christ Church Regatta is a chance to race against other entirely novice crews. 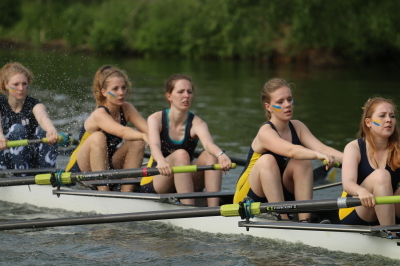 Hilary and Trinity terms see intercollegiate Bumps Racing, where the objective is to catch up and ‐ quite literally ‐ ‘bump’ the boat in front of you. 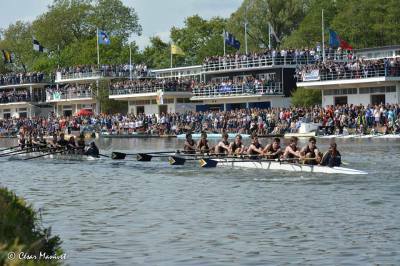 The last of competitions, ‘Summer VIIIs’, is watched by over 30,000 people: more than the average attendance for some Premier League teams. 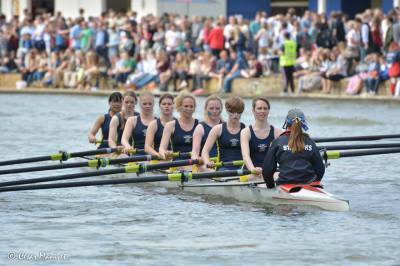 Nowhere else will you get the chance to take part in bumps racing ‐ apart from Cambridge, but we don't talk about them. N.B. 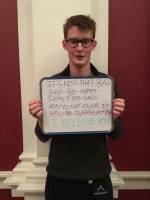 The views expressed and content shared on this website are the views and production of the individual students concerned. It is not an official publication of St Hugh’s College, Oxford and is not monitored by the College. Anything published or promoted here does not necessarily represent the views of St Hugh's College or the wider student body. St Hugh’s Football Club has two teams that turn out weekly. Anyone is free to play for any team, depending on availability. The 1sts play on Mondays, the 2nds play on Friday. Simply emailing the respective captain letting them know of your availability will usually get your name on the teamsheet.... Getting your name on the scoresheet however, is a far harder task. SHFC co-owns a football pitch with Keble slightly further north of Hugh’s, up Woodstock Road, and are therefore able to build something of a fortress there, if necessity (or skill) allows for it. SHFC are also proud to say that the women's team is being resurrected this year after naming a new Captain and Vice-Captain. Yet SHFC is not just a football team. There are a number of very enjoyable events throughout the year. First of all, the Freshers’ welcome event. Here at SHFC however, we have a modicum of not only civility, but class. So, the event begins with a meet-and-greet, with new members giving a brief description of not only who they are as a person, so we can get to know them a little bit more, but also of what abilities they possess on the football field. This first introduction of everyone who plays for the club is extremely good fun, helps us to kick off the night in a very friendly manner and allows the Freshers to meet everyone else who plays for the club. There are also occassional curry nights. To be a member of St Hugh’s Football Club is to say that you are part of an incredibly welcoming and enjoyable group of people who are just as happy having a cool beverage with the team as they are diving into a 50-50 challenge, two-footed, studs raised, in a game against St Anne’s. Talking of St Anne’s, it should be mentioned at this point that, to be a fully fledged member of SHFC, you must be aware of the message that St Anne’s Football Club are not welcome around these parts. All in all, it can safely be said that SHFC offers some of the best memories from a degree at St Hugh's, both socially and on the football field. The Board of SHFC would like to take this opportunity to urge you to come to get involved by making the first important step in your application to Oxford: apply to St Hugh's Footb... err... College. The St Hugh’s Christian Union meets every other week on a Wednesday to share Bible study and fellowship over cake and/or biscuits. We’re a very welcoming family for anyone who is interested in discussing the Christian faith. We also have regular prayer breakfasts for those who want to share food and prayers to start the day before 9am lectures, or just a *superproductivemorning*. We also meet with all the other college CUs at OICCU (the Oxford Inter-Collegiate Christian Union)’s centrals, on the Wednesdays between college CU meetings, for worship, and to see what OICCU have planned for the coming weeks. This is also a great opportunity to meet Christians from other colleges who are also on your course, for instance, or just to meet new friends from across the university. In third week of Hilary term we got involved with OICCU’s main event week, a series of talks entitled ‘Everything in Colour’, on all sorts of questions relating to Christian life, such as “how can a loving God judge me?” and “Why is Jesus’s crucifixion such a big deal​?”. We gathered interested Hughsies to walk down together to each one, and we also hosted a ‘Text a Toastie’ in college, where people could send us their questions about Christianity, and we would bring them a delicious warm toastie, and an answer, which was really good fun. I found the St Hugh’s CU really helped me settle in particularly during my first few weeks in college, and I’ve found great friends in them. We’re happy to help you find a church, and regularly support and pray for each other as we each face challenges with work, friends, or anything really. See these links for more infomation on the Christian Union on a university level and other provisions for faith in college.